Brad Pitt has officially been cleared of child abuse claims from the FBI. Here are some of the best photos of Marc Anthony and Jennifer Lopez together! Their chemistry is simply undeniable! Rose Byrne And Bobby Cannavale May Be Getting Married! Rose Byrne and Bobby Cannavale may be taking a trip down the aisle after the actress was spotted wearing what looked like a beautiful engagement ring! Although many people believe Marc Anthony's kiss with Jennifer Lopez at the Latin GRAMMYs was the reason for his divorce, sources claim it was actually his career that ended his marriage to Shannon de Lima. Melania Trump has been scrutinized for quite some time by the public and with news of her and son, Barron not moving to the White House with Donald Trump, Twitter has launched #PoorMelania. 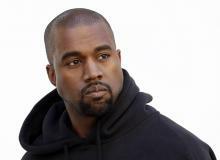 Kanye West Is Hospitalized And Twitter Goes Crazy! 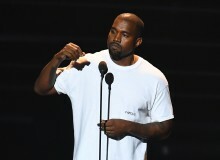 Kanye West has been hospitalized for a psychotic break and fans and fellow celebrities have taken to Twitter to show support! 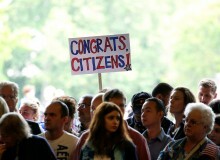 Federal Judge John Primomo tells attendees at a citizenship ceremony that if they can't accept Donald Trump as the new president, they need to leave the country! Kanye West has been hospitalized after canceling his Saint Pablo Tour. 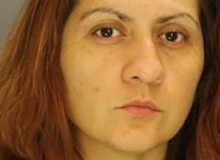 Texas woman Yemeni Sesmas is currently behind bars for the abduction of a Kansas newborn girl and the murder of her mother. She will be charged with first-degree murder and kidnapping charges. Naya Rivera has decided to file for divorce from her husband Ryan Dorsey! Larsa Pippen has been spotted out at a birthday party with Future. Although the socialite has stuck to her guns about their being no romantic relationship between her and the rapper, people are still talking. Kanye West has pulled the plug on his remaining shows for his Saint Pablo Tour! 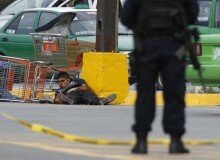 The Mexican state of Guerrero is going through mass violence with the discovering of eight decapitated bodies found on the roadside. 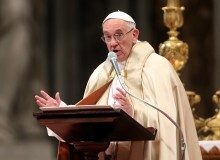 Pope Francis has granted priests the right to forgive abortions. In a major move being that Catholicism looks at abortion as a serious sin, this blessing allows women to rejoin the church. 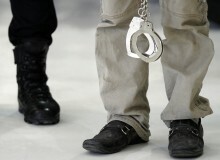 Mexican authorities have now arrested alleged drug cartel assassin gang leader Benito N for his role in the murders and abductions of people in Acapulco. Selena Gomez highly-anticipated return to the spotlight was the most talked about moment of last nights American Music Awards. Winning the Favorite Pop/Rock Artist award, Gomez delivered a heartfelt message to her fans. 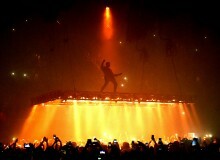 Kanye West Bashes Beyonce And Jay-Z And Twitter Goes Crazy! Kanye West is currently being bashed on Twitter for going on an unprecedented rant targeting Beyonce and Jay-Z. Argentinian woman. 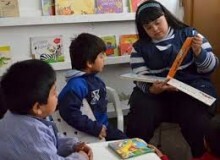 Noelia Garella, makes history as the first woman with down syndrome to become a teacher in Latin America. 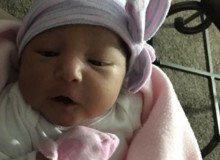 The FBI is searching for a missing newborn girl from Kansas as her mother has been murdered. No suspects are in custody. Kanye West and Kim Kardashian are rumored to be heading towards divorce!